Fitness Over 50: Is It Even Possible? Is Fitness Over 50 Even Possible? In real estate, there’s a saying that the best time to buy a house was yesterday. In other words, the more time that passes by, the higher the prices go, and the more you regret not jumping on the deal you saw three months ago. This sound logic applies to your fitness and wellness also. Every year, life gets in the way and you come to the end of the year a little more out of shape than you were the year before, with a couple of extra pounds and a hurdle that seems even bigger than ever to get back in shape. And every year, you accumulate an extra load of aches and pains that make it more daunting than ever to begin an exercise program. Suddenly, you find that you’re over 50 and you are in pretty bad shape. Is it any surprise that you look back on last year and think to yourself, “Whoa, I should have started this a long time ago”? It’s time to stop letting the years pass by. It’s time to get a handle on your fitness. It’s time to turn this train around. My name is Donald Thomsen, and I am living proof that fitness over 50 IS possible. In fact, I didn’t start my journey until I was 75. (What would have happened if I had started 25 years earlier?) 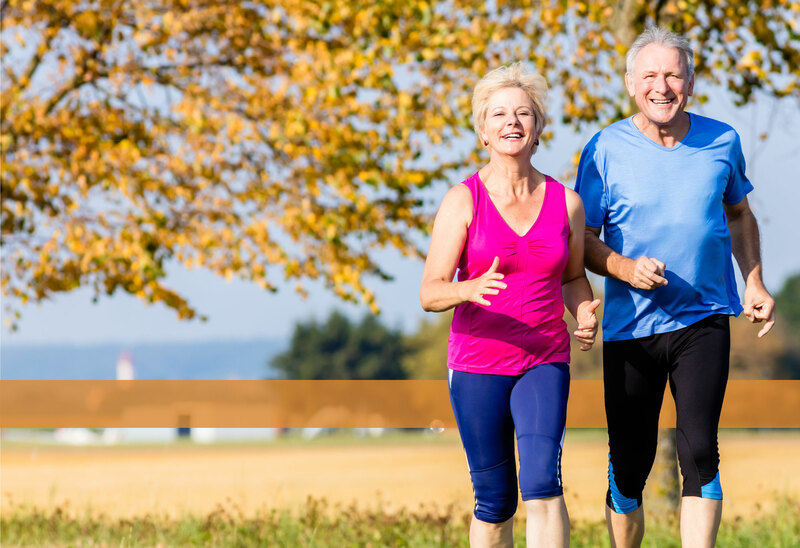 At the age of 75, I was overweight, out of shape, and taking several medications. If you haven’t seen my inspirational VIDEO JOURNEY of the transformation that I experienced . . . watch it now. But I didn’t just keep my transformation to myself. If I could do it, I figured that anyone could do it, at any age. 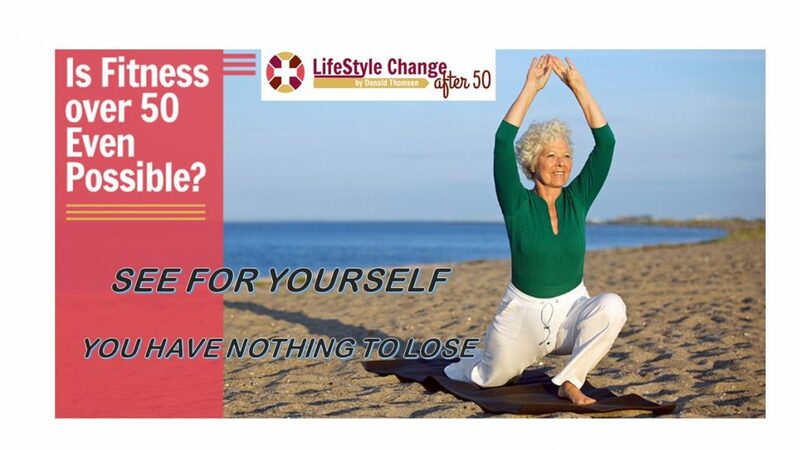 That’s why I created the LifeStyle Change after 50 program. This video course will tell you everything you need to know to transform you from being out of shape and not feeling great to being full of energy, vitality, and health — permanently. I wanted other people to be able to benefit from the discoveries that I made for myself. In my transformation, I went all out. I wanted my transformation to be real, permanent, and complete. I wanted something that would lead to a tangible outcome, not just to make me “feel a little better.” And because I was already 75, I was running out of time. I couldn’t afford to trifle with mini tweaks and minor pivots. I was on a mission to make a real impact on my health, fitness, and weight, and I succeeded. For you, it will probably take drastic action, too. It’s a shift in mindset and a change in your whole lifestyle. It’s more than just an exercise program; it’s your diet and lifestyle choices as well. I want the transformation that I experienced for every person over 50 in America.